Negotiation between legal parties has historically been a process dominated by uncertainty, guessing games and anxiety. However, today’s professionals can make strategic decisions based on deep data and predictive analytics to improve conventional wisdom and correct cognitive errors in judgment. Using neural networks to examine the behavior of negotiators in thousands of cases, Picture It Settled® can predict what an opponent will do, thereby saving time and money while optimizing settlements. Picture It Settled does not replace lawyers – instead, it is a critically important resource that gives them a distinct edge in the negotiation process. 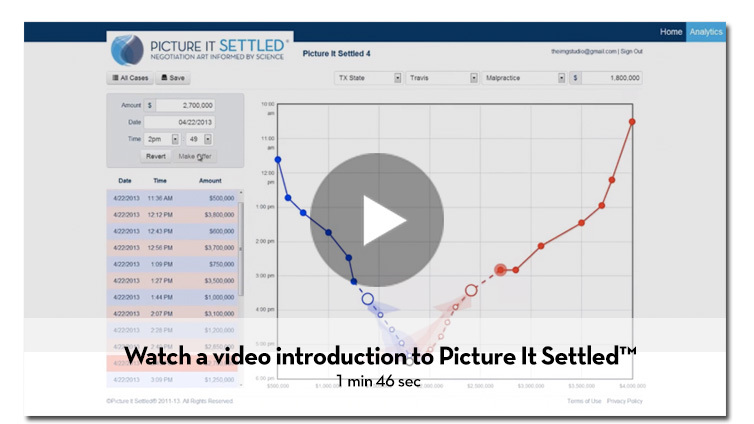 Picture It Settled® software was created by a team of attorneys and statisticians led by Don Philbin, a nationally recognized attorney-mediator. Philbin assembled a team of attorneys, statisticians and scientists from the Southwest Research Institute® to develop the technology. The intelligent software has learned negotiation strategy from deep data and negotiation patterns in several thousand litigated cases, ranging from fender benders to intellectual property disputes in locations from tiny counties, large cities and everything in between. Probabilistic case evaluations not only consider the range of potential trial outcomes, but weigh those outcomes by their probability and their cost. Successful negotiations are a dance. The bid (offer) and ask (demand) prices signal moves and are often accompanied by other signaling information. Some dances move faster than others, but short-circuiting the dance often results in impasse. Start – deciding when and where to anchor negotiations is strategic – will it be reasonable enough to have weight yet leave room for the dance? 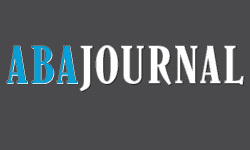 Real time forecasts improve the negotiator’s aim and improve results. Wouldn’t you like to know where this round is headed? 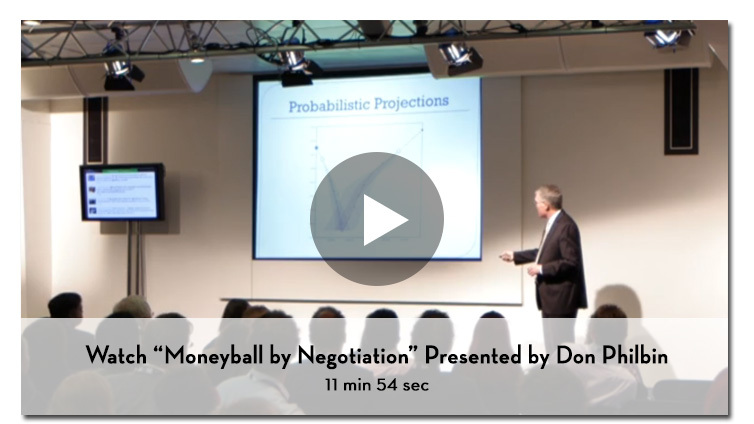 Get projections in time and money.